Warriors! 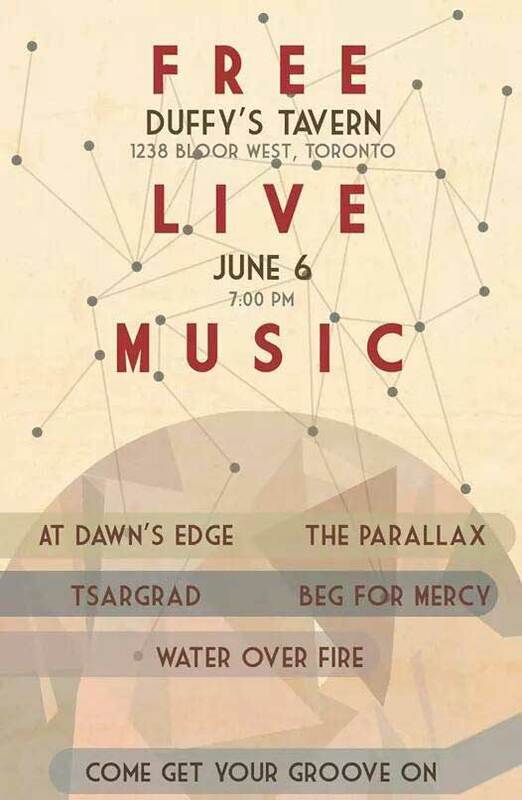 We’re playing in Toronto next week June 6th at Duffy’s Tavern with a tonne of other great bands for a free show! It’s an early show, so make sure your there in time to check out all the bands! © 2019 Tsargrad | Official Battleground. All Rights Reserved.